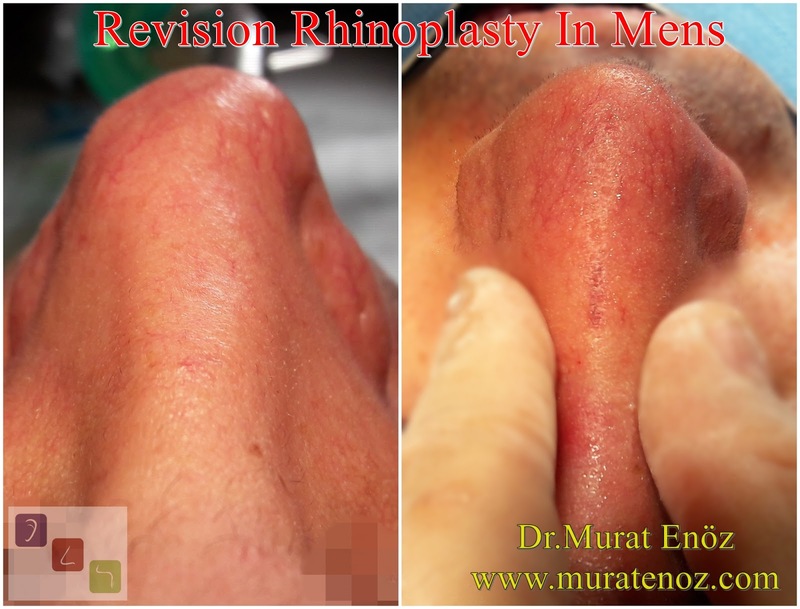 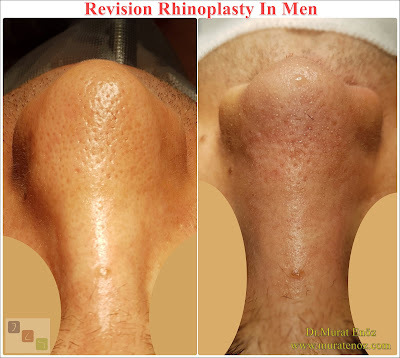 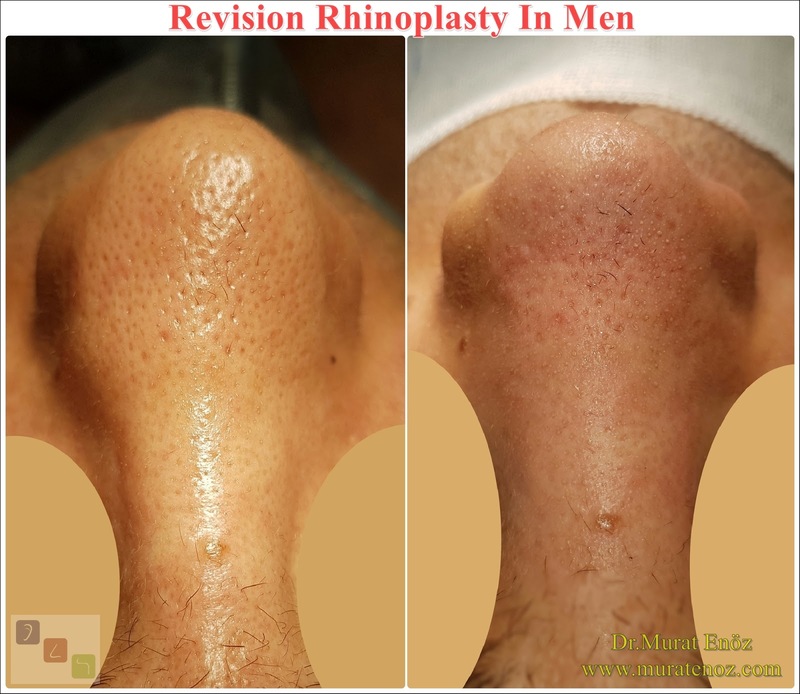 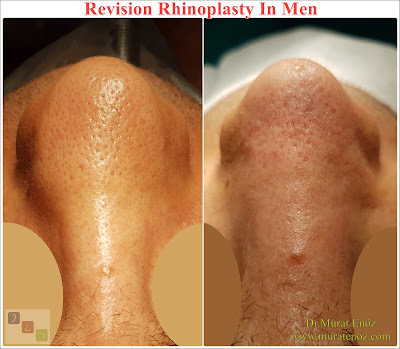 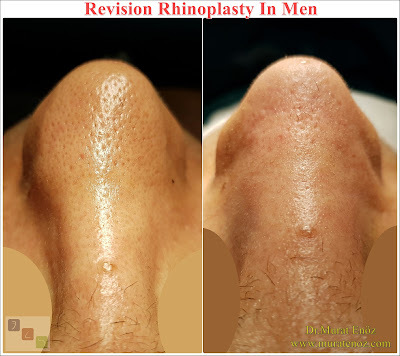 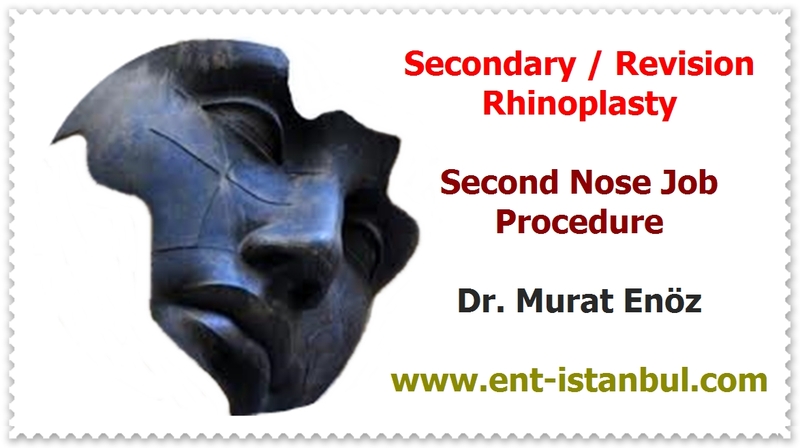 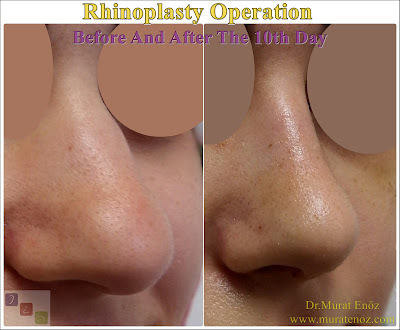 Revision rhinoplasty surgery is often more difficult than the primary rhinoplasty surgery. 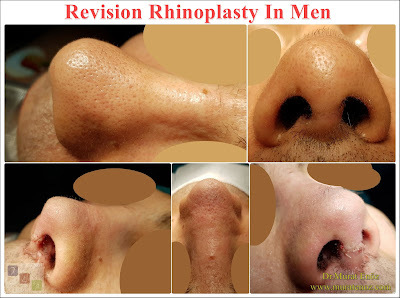 Revision rhinoplasty surgeries are like opening a surprise box. 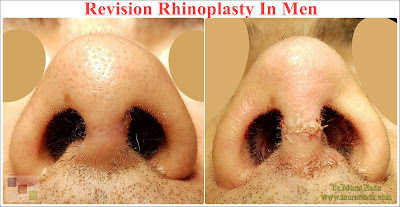 What is underneath the nose, what is done, but can be fully understood during surgery. Surgical experience, knowledge of anatomy, prediction, may affect on success of the revision rhinoplasty in mens. 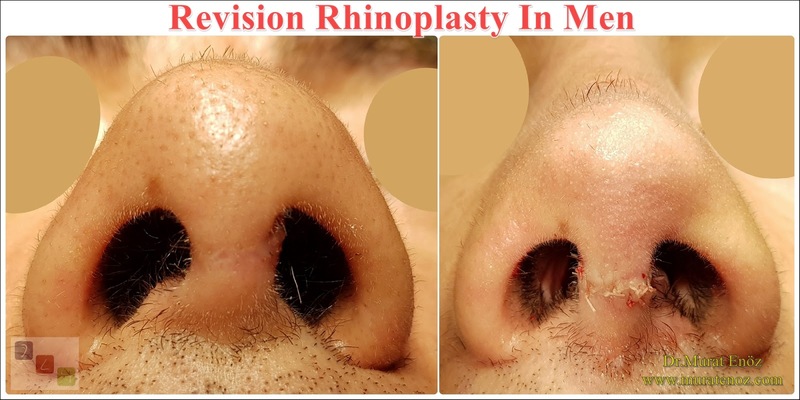 In the above photograph patient who underwent a nose aesthetic surgery 15 years ago is seen and the nasal asymmetry, the open roof deformity, the right alar collapse is remarkable. 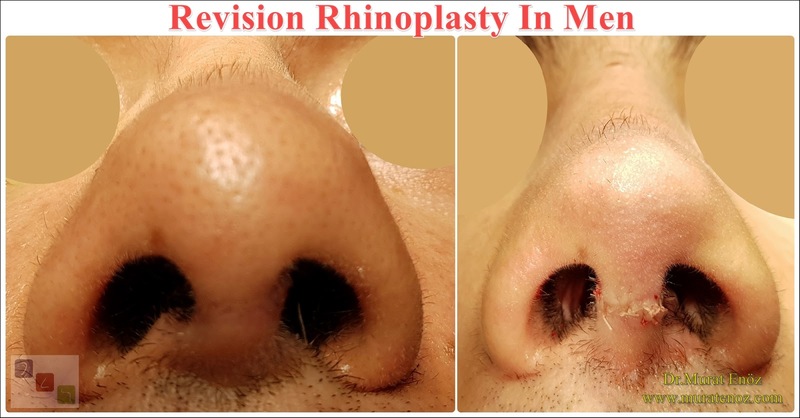 Almost all problems are seen as resolved in the photograph immediately after surgery. Nasal Tip Plasty or Nose Tip Lifting?